With its large domed shape, the Finishing Brush lightly sweeps over contours and angles for a sheer and even airbrush finish. It is ergonomically designed for the best control and is made of ultra-soft high quality synthetic fibres. Tip: Stipple or roll the brush to distribute more product to required areas. Best Results With: Powder formulas requiring a very sheer application such as finishing/setting powders. Product Partners: Pressed Mattifying Mineral Veil and Mineral Veil. Use the Finishing Brush to collect small amount of powder in the flat sides of the bristles. Tap away any excess to ensure an even colour application. 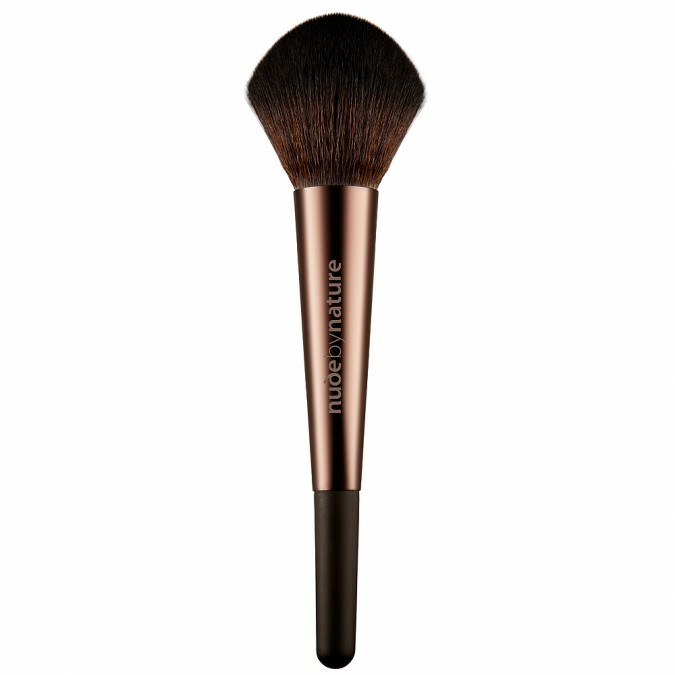 Sweep your brush lightly over your face to distribute product evenly. Concentrate on the t-zone as this will usually require more shine control. This brush is lovely and soft, however I find that it is a bit too fluffy and hard to control where to put the product. Such an amazing brush for applying any kinds of loose of pressed powders. A beautiful application, super soft, long lasting.